Today’s Texplainer question was inspired by reader Grace Chimene. Hey, Texplainer: How do I join in on the action at the Republican, Democratic, and Libertarian party conventions? Essentially, how do I get hyper-involved? Texas primary season is quickly approaching, which means some Texans are wondering how they can engage with state politics beyond just casting votes. Participating in political conventions is one way to get involved, and each party has lower-level conventions that build up to their state conventions. First there’s a precinct convention, then a county or senatorial convention — a senatorial district convention is held when the county includes two or more state senate districts — and a state convention. The March 6 primaries and state conventions are right around the corner, so it’s important to start getting involved in the process now. What happens at a convention? At each convention level, delegates are elected to move up the hierarchy and represent their party. To participate as a delegate in a convention, a person has to have voted in his or her party’s primary. Anyone can attend a convention without becoming a delegate, but delegates have more power to determine the course of their party. Among other tasks, the delegates shape party platforms, elect leadership and update party rules. We talked to officials from the Democratic, Libertarian and Republican parties to help us explain how to navigate the convention system. What’s each party's process like for getting involved in conventions? Visit texasdemocraticconvention.com to find out where your county convention is being held and register. 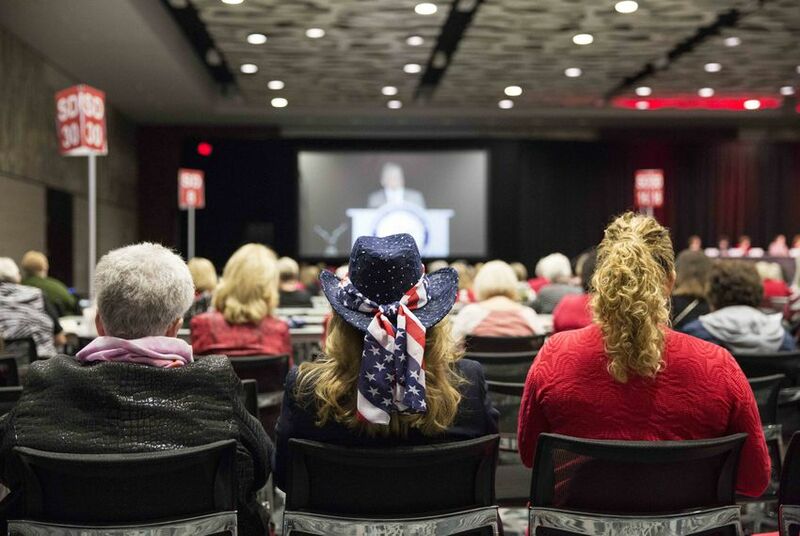 Once you’re at the county convention, you’ll debate resolutions on policies and issues. If any policies or rule changes are passed at the county level, they’ll be added to the agenda at the state convention. Rather than holding separate precinct conventions, Democrats caucus together with their precincts during the county convention to elect their delegates to the state convention. Maxey said this process is more competitive during presidential election years, but in most cases anyone who really wants to be a delegate to the state convention will be elected in a non-presidential election year. Once you’ve made it to the state convention, you’re ready to participate in the highest level of party governance in the state. You’ll elect party leadership, write and adopt the state party platform, pass resolutions and update party rules. This year’s convention is June 21-23 in Fort Worth. Start by getting involved at the local level. Find out who’s the county party chair of your area. Introduce yourself and be vocal about your intent to become a delegate. Becoming a delegate for the Libertarian Party is competitive, especially during presidential years. Find out where and when your precinct convention is taking place on your county chair’s website, social media or your county commissioners court bulletin board. At the precinct convention, run for a position as a delegate. Take the same steps to participate in the county/senatorial and state conventions. This year’s state convention is April 13-15 in Houston. Vote in the primaries and then attend the precinct convention on the same day. Details of the precinct conventions are usually posted on the county party's website. Inform the county chair of your intent to become a delegate. It’s typically pretty easy to become a delegate in the precinct convention because there are usually more spots than people to fill them. Attend the county or senatorial convention and follow the same steps to become a delegate for the state convention. This year’s convention is June 14-16 in San Antonio. In addition to conventions, getting involved in the local level is just as important, Simpson said. “I’m a big believer in doing more than just going to conventions,” he said. Members of all three parties can also volunteer for campaigns or join local party clubs. Visit Texas’ party websites and county chairs’ websites to find out more about how to get involved beyond the conventions. Hey, Texplainer: Why do Texans have to vote on so many constitutional amendments?